Do you ever struggle with whether to go on an adventurous vacation or a relaxing one? You don’t exactly have all the vacation time in the world and there is never time for a vacation after your vacation, so it’s all about getting the balance right. 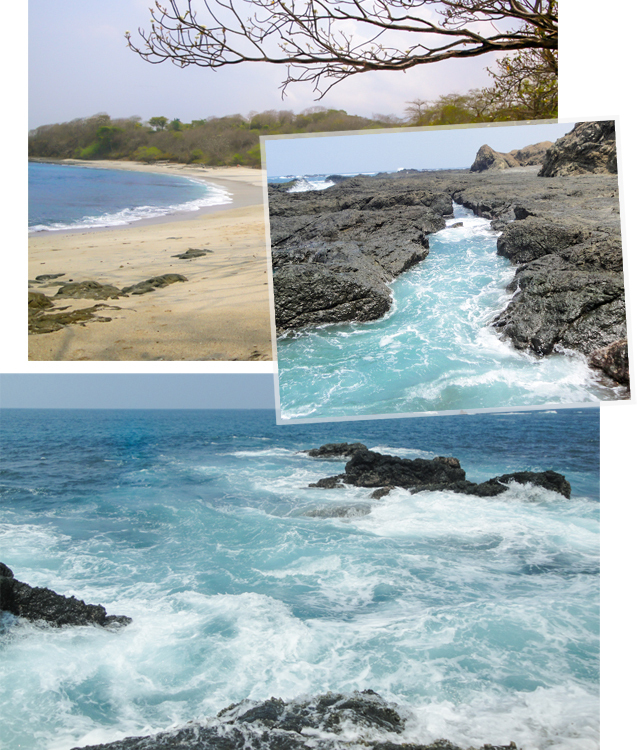 Costa Rica’s Guanacaste Province on the Pacific coast is a destination that truly caters to both. The small village of Nosara is home to 5,800 residents and is a great place for travelers who like to get off the beaten path. With dense jungle extending right up to the ocean’s shore, in Nosara you are quite literally nestled in nature which is one reason it’s so popular as a hub for yoga retreats. I think of it as a sleepy little surf town because it is relatively undeveloped and most of the visitors are surfers who come for the some of the most consistent waves in the world. 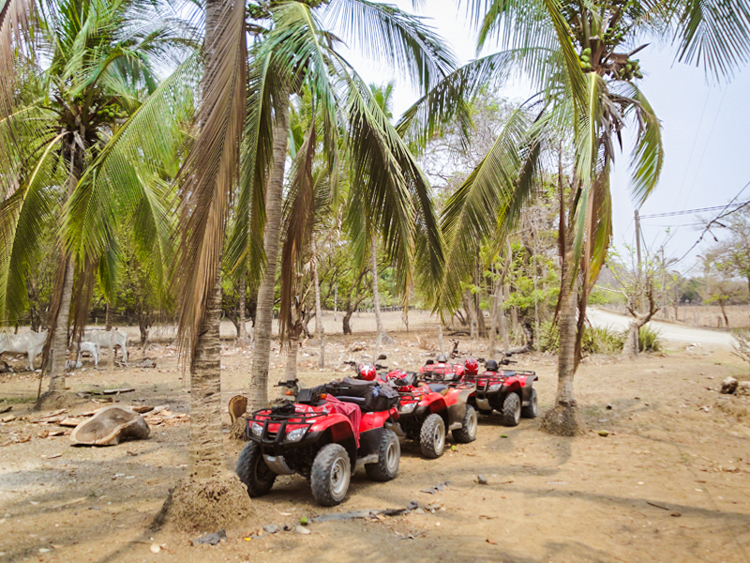 A great way to explore the area is an ATV ride through their rugged mountains and scenic beaches. It’s also a ton of fun getting covered in dirt! Monkey Quads ATV tour took me out on a guided four-wheeling adventure with four tourists in tow. Though their itinerary changes depending on the season, regular tours include Rio Montana, Ostinal beach, Punta India, San Juanillo, the Mala Noche waterfall, Zaragoza and much more. At $65 per adult, it’s totally worth it. The Monkey Quads ATV tour around Nosara. It’s a very quiet place as you can see. Friendly locals and insanely good banana pancakes at Rosi’s Soda Tica. Spectacular surf and wide views of the Pacific coast (best scenic view is from the Lagarta Lodge). Outdoor adventures including surfing, ATVing, zip lining, kayaking and hiking. The Ostional Wildlife Refuge, one of the world’s most important nesting sites of the olive ridley sea turtle. A small handful of restaurants including La Luna where you can watch the sunset on the beach, and great live music at Casa Tucan or The Gilded Iguana. I rented a house from Nosara Beach Rentals and I always recommend doing something like that if you can. However, I opted for a rental high on a mountain which offered expansive views of the coast and I probably would not do that again because of the remoteness. Instead, stay in one of the centrally located hotels which are all quite affordable and several cater specifically to surfers or yoga enthusiasts. I recommend the Harmony Hotel Nosara or the KayaSol Surf Hotel, both in walking distance to the beach. Use Booking.com which I found to offer the most accommodation options in Nosara. For further information about travel in Costa Rica, visit the official website of Costa Rica tourism. Thank you for reading and I hope you make it to Nosara one day. 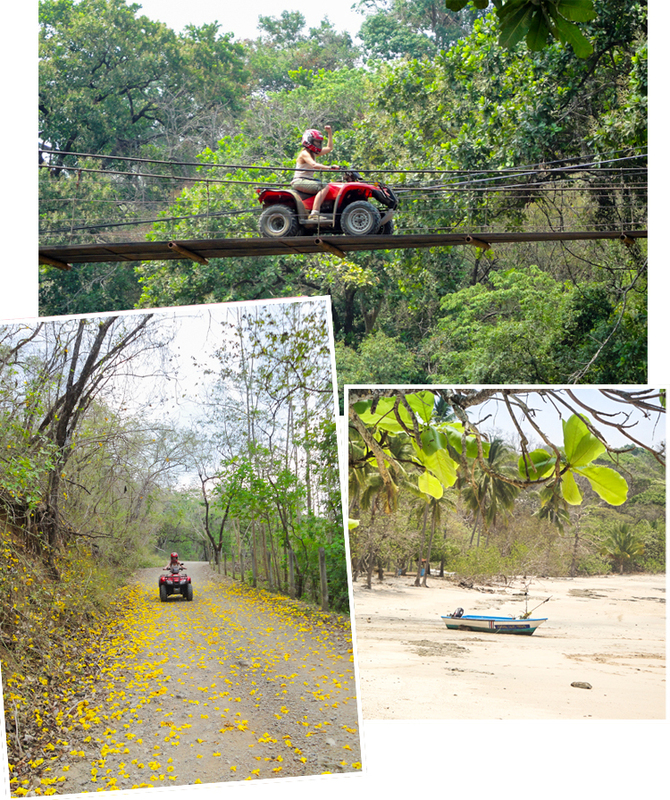 These are some beaches near Nosara that we explored on the Monkey Quads ATV Tour.